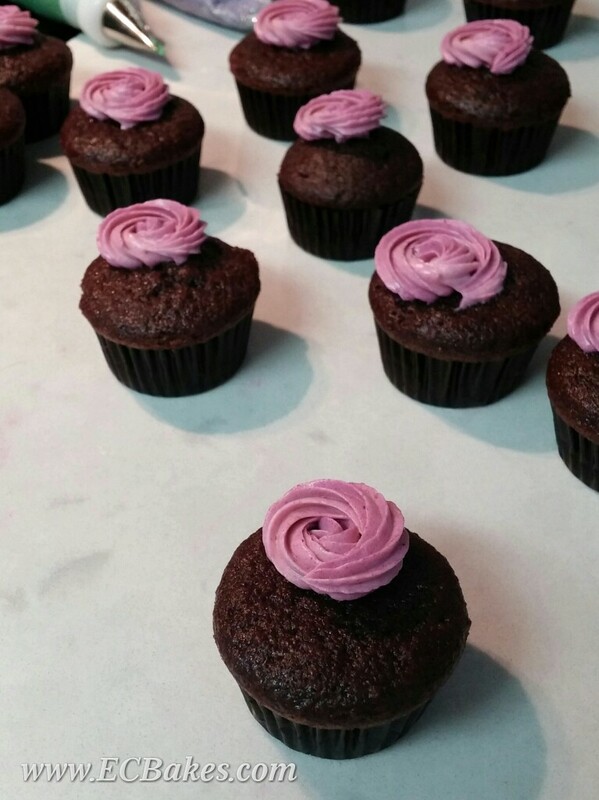 I am sharing with you the coolest and neatest trick for filling up a piping bag with icing today. I learned this trick from a cake forum many years ago and have switched to this method ever since. 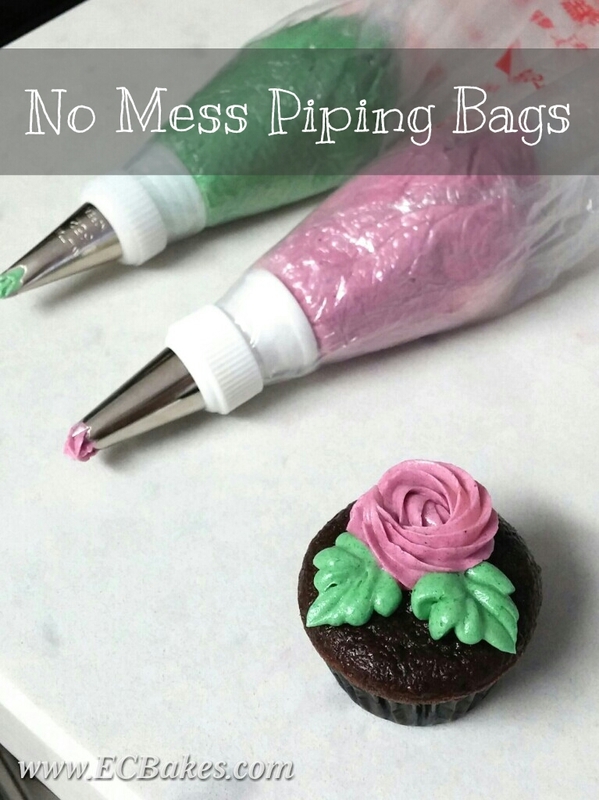 if you have only one or two piping bags but have different colors to pipe with, or are simply too tired of washing up greasy piping bags, this method will save your day. It’s completely mess-free and I am sure you will be satisfied with it! 今天要分享史上最强的入唧袋方法! 這是EC多年前在一個外國蛋糕討論區學會的, 一試之後便幾乎沒有用回老方法了… 如果你只有一、兩個唧花袋, 卻要唧幾種顔色, 又或者討厭清洗油腻的唧袋, 你一定要學會此絕技. 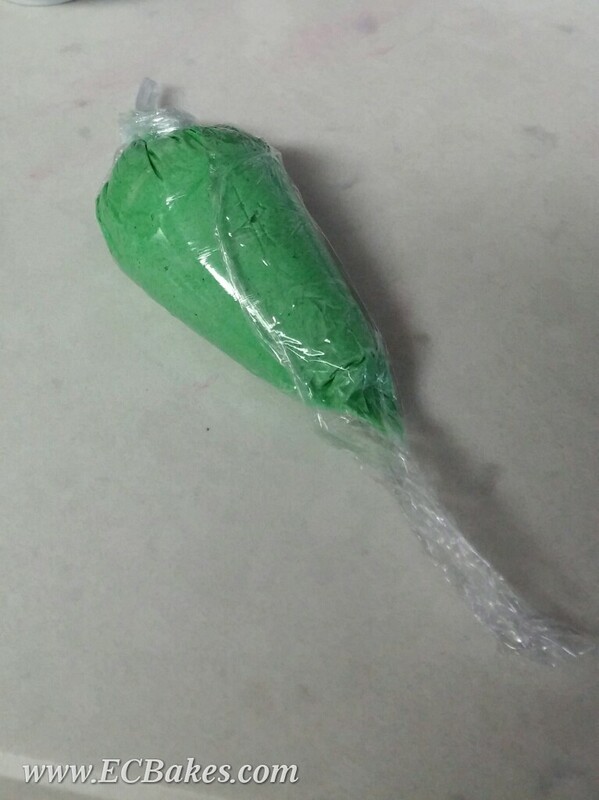 EC包你滿意這個省時快捷的小方法. 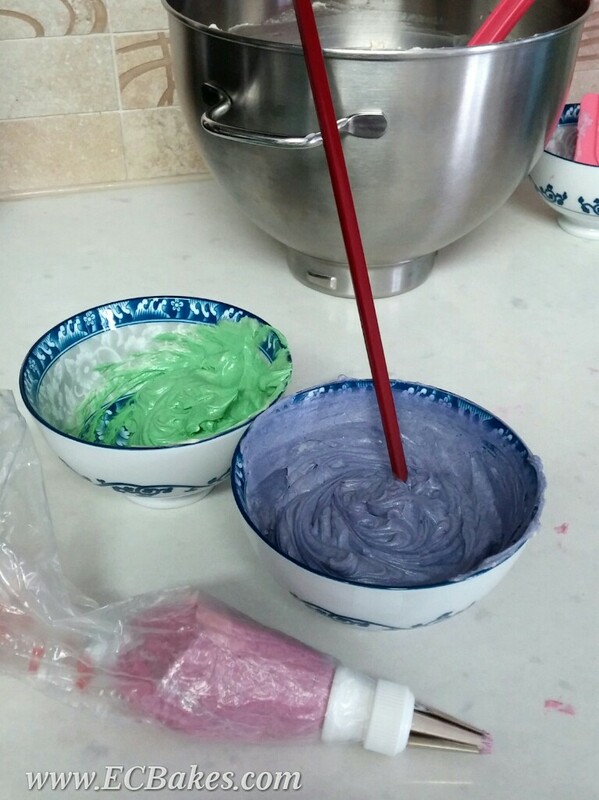 Divide your icing (it’s Swiss meringue buttercream here) into bowls then color them with icing colors. Get a piece of plastic food wrap about 8 inches long. Place icing on top. Lift up one corner and fold it over to cover the icing. 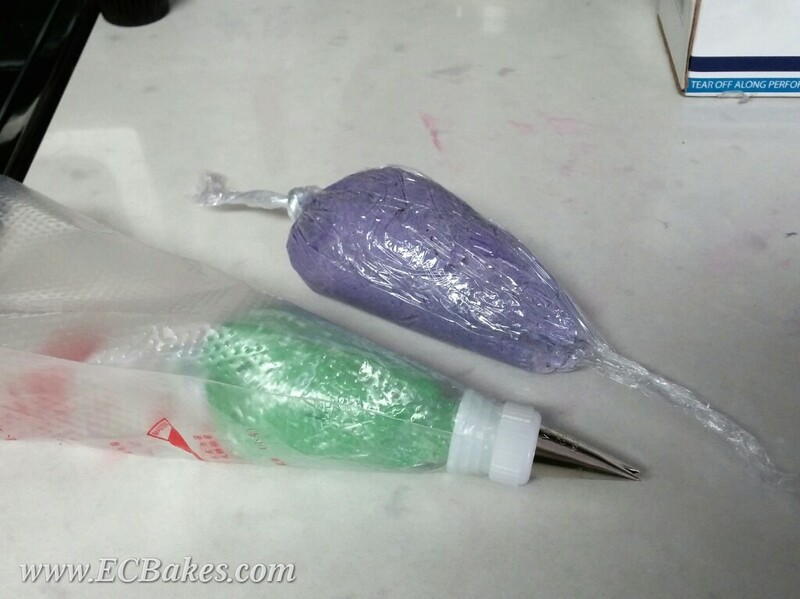 Then slowly wrap icing into a cone shape. Twist both ends and tie the longer end with a knot. 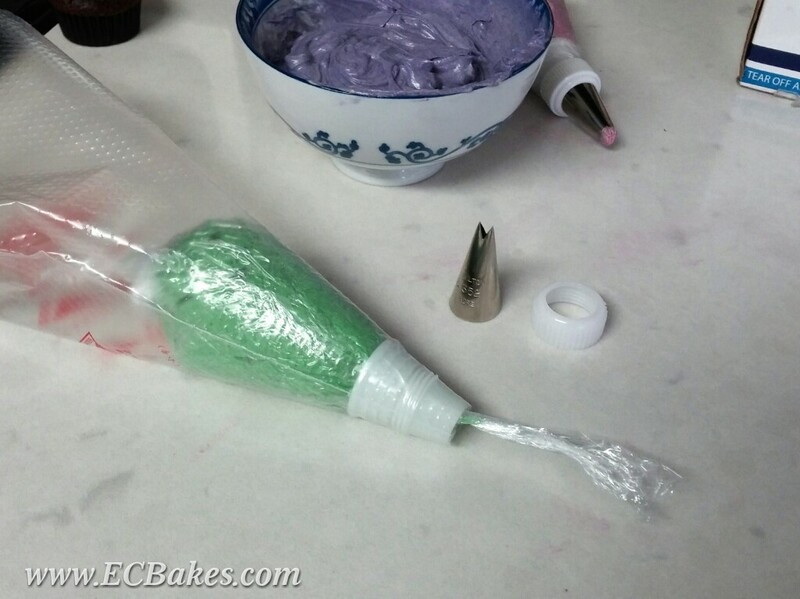 Place coupler in piping bag then insert the icing tube into it, bringing the untied end through the coupler. Snip off the end with a pair of scissors. Screw on the decorating tip and coupler ring. Start piping as you normally would. 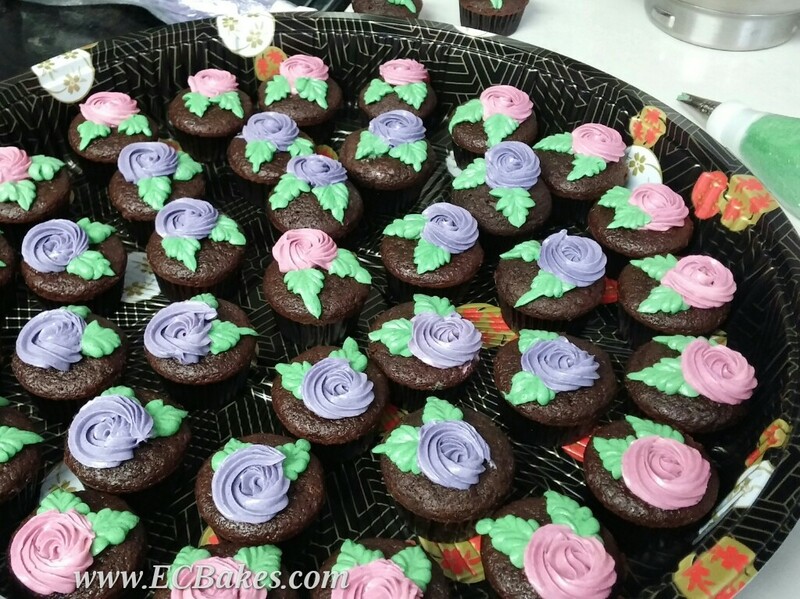 When you are done, simply twist off the cap then pull the icing tube out from the tied end. Switch color, screw on the coupler ring and tip, then pipe again! The piping bag itself is completely clean. All you need to wash is the decorating tip! Isn’t that the coolest trick on earth ever?